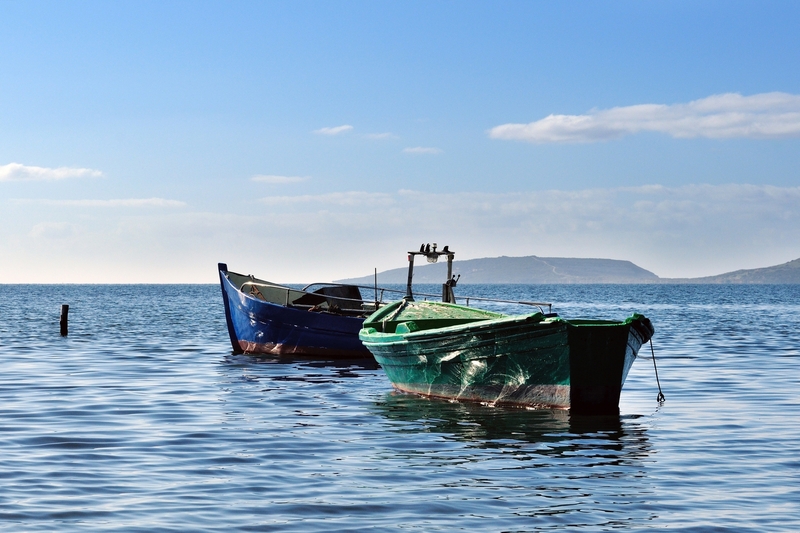 A fishing village arose in the southern part of the gulf of Oristano, in an extremely sheltered position, at the base of the 'horn-shaped' piece of land that ends at the charming Capo San Marco, the southernmost limit of the bay and the border with the Costa Verde. The typical dwellings of the small village, in the territory of Terralba, stretches as far as the pine forest of the salt water lagoon of Marceddì, which originated from the marine inlet. The internal part of the lagoon, separated by a small barrage, is a pond that goes by the name of Stagno di San Giovanni. The rivulets of Rio Mogoro and Rio Mannu enter here, making the water less brackish. The lagoon and the pond were once ancient landing places of the flourishing Phoenician-Punic settlement of Neapolis, now the habitat of aquatic birds that nest on the banks covered in lake vegetation: you can make pleasant encounters with purple herons, coots, mallards and western swamphens amidst the reed beds. 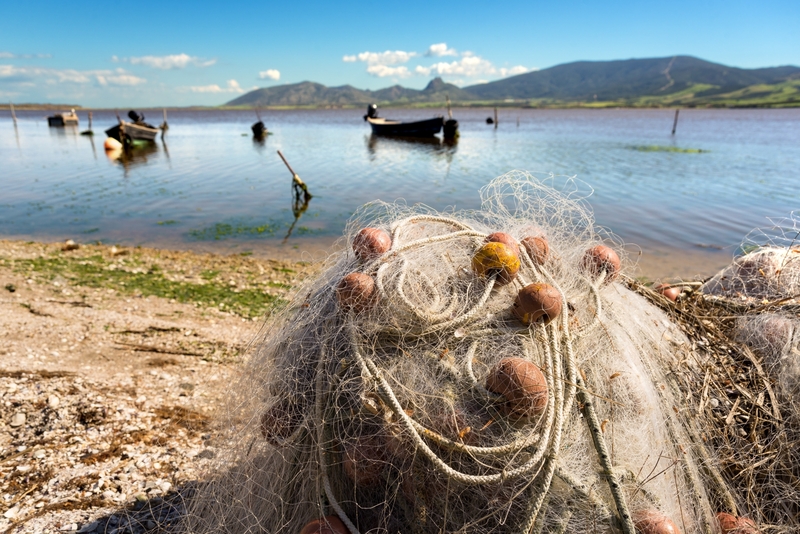 Whether in the sea, the lagoon or the pond, fishing is by far the main activity: don't miss out on the local delicacies thanks to nearby restaurants and fish tourism facilities, you will find seafood and an abundance and great variety of fish: striped seabream, flathead grey mullet, gilthead bream, sea bream, sea bass and red mullet. 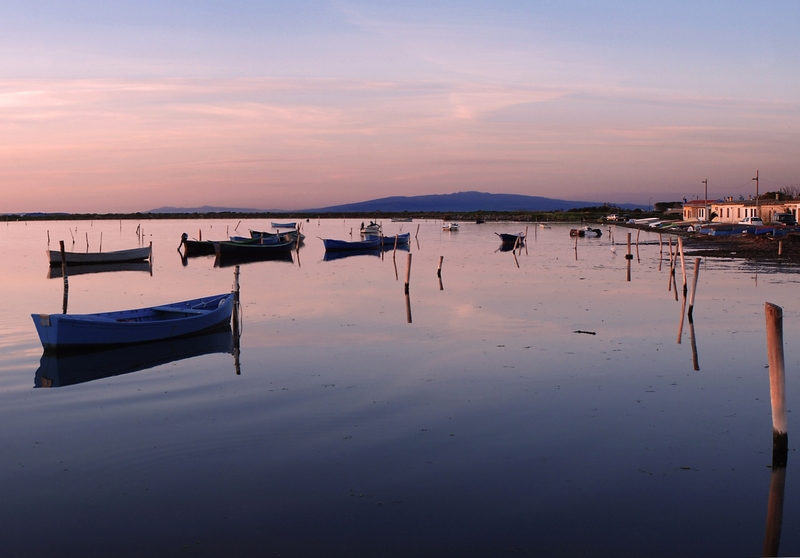 Coast and lagoon blend with archaeology, in a corner of Sardinia that has always been a crossroads of peoples. Confirming this, is the flourishing site of Neapolis, once an important Mediterranean 'market', founded by the Phoenicians, which then became a Carthaginian colony (6th century BC), the remains of which are still visible. Furthermore, a few kilometres away, you can visit the ancient town of Tharros, an archaeological site that tells the story of prehistoric times and the history of Sardinia all in one go. Marceddì has also gone through a recent and more bloody past: it was the stage of pirate incursions. The Spanish Torre Vecchia (16th-17th centuries) was built to protect it from the attacks: you can see its remains on the edges of the pond. From the lagoon, going south, you can easily reach the Costa Verde and its gems - in order of appearance Pistis, Torre dei Corsari, Marina di Arbus, Piscinas and Scivu – and, going north, the beautiful protected areas of the marine area of the peninsula of Sinis, San Giovanni di Sinis, Maimoni, Is Arutas and Mari Ermi. From SS 131 take the turnoff to Marrubiu and drive through the village. Continue in the direction of Arborea (Tanca Marchesa). Along the road you will find directions to the hamlet of Marceddì, which lies by the lagoon.